Let’s face it: starting medical school can be quite an overwhelming experience. The McGill Medical Students’ Society’s ACE (Ambassadors for Comprehensive Education) program aims to ease the transition by offering new medical students a helping hand to navigate through medical school. 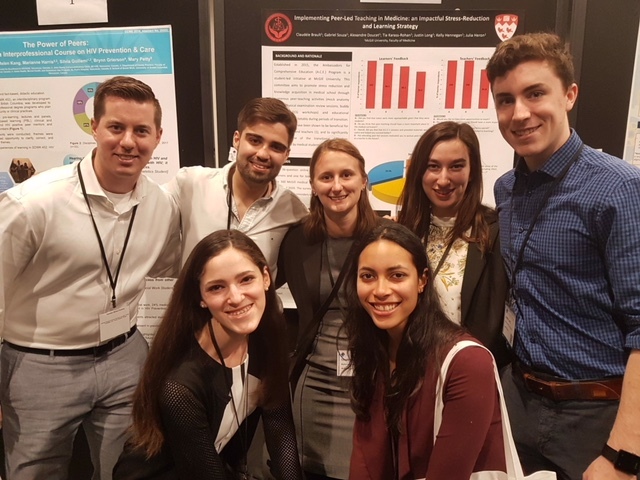 Launched in 2015 by medical students Gabriel Souza and Claudèle Brault, the ACE’s original purpose was to start a buddy system to pair new medical students with more senior peers. The ACE has since expanded to offer a variety of activities to support medical students throughout their studies. “Our goal was to help students prepare for academic activities (including written exams, OSCEs, clinical rotations, etc.) as well as to decrease overall stress related to medical school, especially at times of transition,” explains Gabriel, now a Med-4 entering a Psychiatry residency at McGill and ACE co-chair. Claudèle, the other co-chair, is also a Med-4 and will be entering the Obstetrics and Gynecology residency program at the Université de Montréal.